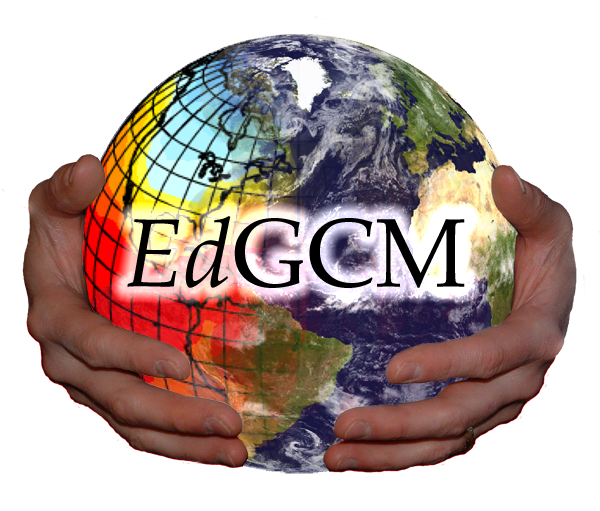 EdGCM provides a research-grade Global Climate Model (GCM) with a user-friendly interface that can be run on a desktop computer. For the first time, students can explore the subject of climate change in the same way that actual research scientists do. In the process of using EdGCM, students will become knowledgeable about a topic that will surely affect their lives, and we will better prepare the next generation of scientists who will grapple with a myriad of complex climate issues. Our goal is to improve the quality of teaching and learning of climate-change science through broader access to GCMs, and to provide appropriate technology and materials to help educators use these models effectively. With research-quality resources in place, linking classrooms to actual research projects is not only possible, but can also be beneficial to the education and research communities alike.